Historians revise history constantly. That’s a key component of the job: seeking out and assessing new information, considering and reconsidering the motives of participants, and pondering the authenticity of documents and other accounts. But revising history is different from “rewriting” history, which involves ascribing positive or negative motives to actors based on predetermined outcomes, ignoring information that contradicts those preordained outcomes or faulting historical figures by holding them to modern standards and values incompatible with the past. This is evident in recent analyses of Ulysses Grant’s presidency. Grant, the Union general who served as president from 1869 to 1877, was graded near the bottom of U.S. presidents just 70 years ago, ranking No. 28 of 30 chief executives in 1948. Conversely, in 2017 Grant was rated No. 22 of 43. This is curious, given that unlike such presidents as Franklin Roosevelt, John Kennedy and Richard Nixon, Grant’s Administration didn’t have the benefit of classifying secret information for decades. In other words, it’s not like a horde of secret files were released 75 years or a century after Grant left office, giving historians solid reasons to reassess his presidency. 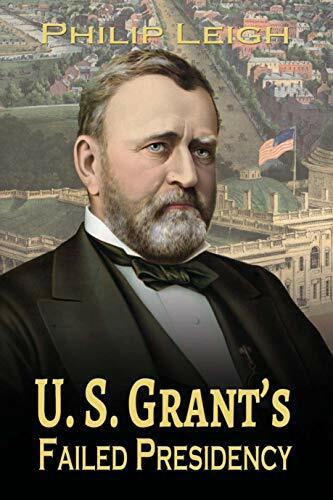 Grant’s eight years in the Oval Office is the subject of Philip Leigh’s last book, U.S. Grant’s Failed Presidency (published by Shotwell Publishing, 2019). U.S. Grant’s Failed President, by Philip Leigh. Leigh ascribes Grant’s revival to two factors: Modern historians tendency to focus on the racial aspects of Reconstruction – and to ascribe egalitarian motives to Grant’s decisions when they were almost certainly political in nature – and an inclination to minimize or even overlook the corruption that was a hallmark of his presidency, including concerns that Grant himself was involved in the graft. Today’s historians, many of whom came of age during or after the 1960s and the Civil Rights movement, too often fail to critically evaluate Grant’s motives for supporting black civil rights, particularly voting rights, during Reconstruction, Leigh writes. “His policy is commonly portrayed as a noble stand for racial equality. They fail to adequately examine evidence that his prime motive may have been to gain the political power that a routinely obedient voting bloc could provide to Republican candidates,” Leigh states. Grant was opposed to black suffrage at the end of the War Between the States, but by 1868 he was warbling a different tune. That change, however, did not encompass extending the franchise to other minorities such as Native Americans and Chinese Americans. The Republican Party was less than two decades old when Grant was first elected and securing a compliant voting base to help the party become established was crucial to its long-term survival. Regarding integrity, the Grant Administration’s ethical lapses rival those of the Harding, Nixon and Clinton administrations. 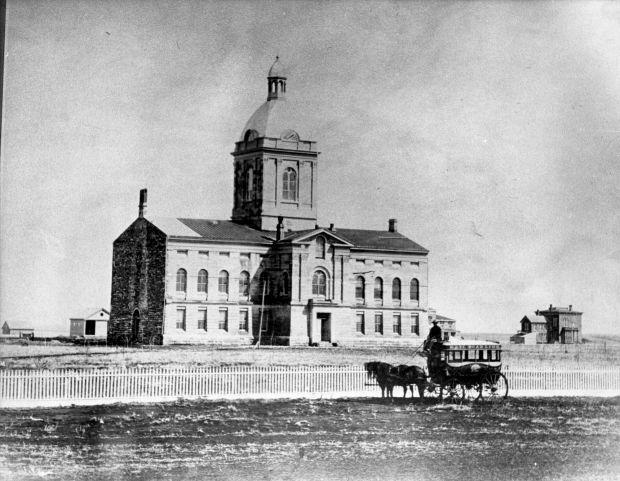 There were at least 10 major scandals during Grant’s two terms, including a gold speculation ring that resulted in the nation’s economy spiraling into a recession, the Whisky Ring, in which whisky distillers bribed Treasury Department officials who then aided the distillers in evading taxes, and the breach of the Treaty of Fort Laramie, when Grant, seeking a means to get the country out of the Depression of 1873, approved an 1,000-troop expedition into the Black Hills, sacred land of the Lakota Indians where gold had been discovered. Grant appointed a commission to buy mining rights from the Sioux, but the commission reported that force was necessary to begin negotiations. Grant proceeded to launch an illegal war against the Plains Indians, then lied to Congress and the American people about it. Corruption would be discovered in seven federal departments: including the Navy, Justice, War, Treasury, Interior State and Post Office. 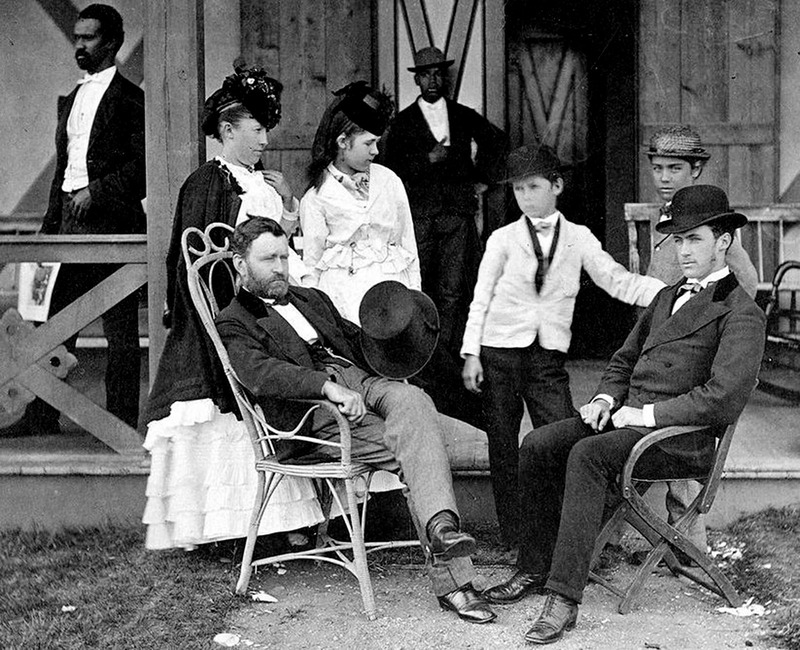 Nepotism was prevalent, with more than 40 of Grant’s family members benefiting from government appointments and employment. And several of Grant’s close aides and cabinet officials were indicted. Grant himself exhibited dubious standards which, were a politician to act similarly today would surely end their career and possibly result in prison time. In 1866, prior to entering public service, Grant accepted a $30,000 home in Washington, D.C., raised through public subscription that netted the general $100,000 in all. When Grant was ready to move into the White House, he initially agreed to a deal to sell the home for $40,000. Treasury Secretary designee Alexander Stewart led a subscription to purchase the home for $65,000 for Union General William T. Sherman. When the money was raised, Grant turned his back on the agreement with the first buyer and pocketed the $35,000 difference, according to Leigh. Six months into his first term, Grant accepted a vacation home on the New Jersey coast. The 27-room structure cost $35,000, money raised by seven donors, including a Philadelphia newspaper owner and the owner of the Pullman Co., which manufactured railroad cars, according to Leigh. A century and a half after Grant became chief executive the office of the president has changed so much that contrasting mid-19th century presidential administrations and those of today is extremely difficult. The manner in which information was recorded and archived (or, as in the past, wasn’t archived), and the present access to public information, inadequate but a far cry from that of the 1860s and ‘70s, make an apples-to-apples comparison impossible, for example. Still, Grant’s Administration was a marked period of corruption, when speculators and rouges fleeced both the public trust and the public treasury, while the common citizen, whether white or black, worked diligently just to simply keep their heads above water. U.S. Grant’s Failed Presidency is a well-done, easily understood work. In it, Philip Leigh cuts through the presentism that pervades so much current historical writing and examines the facts of 1869-1877, delivering an appropriately unflattering appraisal of Ulysses Grant’s eight years in office. Among science’s more amazing advances is its ability to identify the long dead. On Monday, the Defense POW/MIA Accounting Agency said in a statement that the remains of Navy Fireman 3rd Class Willard Lawson, killed when the USS Oklahoma was sunk by Japanese torpedoes on Dec. 7, 1941, had been identified. Lawson will be buried April 27 in Madison, Ind., according to the Defense Department. Last week the Defense Department announced that military officials had identified the remains of 37-year-old Seaman 1st Class Hale McKissack of Talpa, Texas, and 26-year-old Ensign Charles M. Stern Jr. of Albany, N.Y., both of whom were also Oklahoma crew members. McKissack is scheduled to be buried May 4, in nearby Winters, Texas, while Stern will be buried outside Albany sometime this summer. Seventy-eight years after the Oklahoma was capsized in Pearl Harbor (aftermath shown in image above), taking the lives of 415 sailors and 15 Marines, identification of its dead is proceeding at relatively dizzying pace. In the immediate aftermath of the attack through 2003 only 35 of the 429 members of the Oklahoma’s crew who died on Dec. 7 were known. But since 2015 more than 200 Oklahoma crew members have been identified, thanks to technology and a push by officials to account for as many members of the ship’s crew as possible. 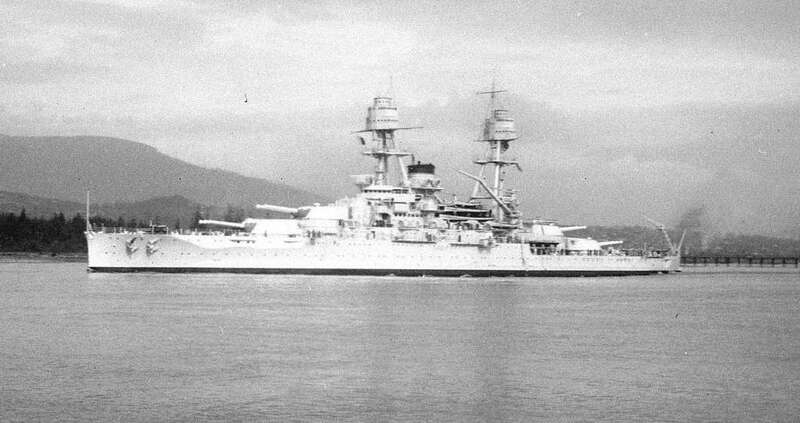 The Oklahoma’s story isn’t as well known as that of the USS Arizona, which remains at the bottom of Pearl Harbor, where hundreds of its crew were entombed following its destruction on Dec. 7. The site is marked by the famed USS Arizona Memorial. The Oklahoma was among the first ships to be hit by Japanese torpedo bombers, which quickly struck the Nevada-class battleship with three torpedoes in the opening moments of the attack. As the Oklahoma began to capsize, she was struck by two more torpedoes and within 12 minutes had rolled over. 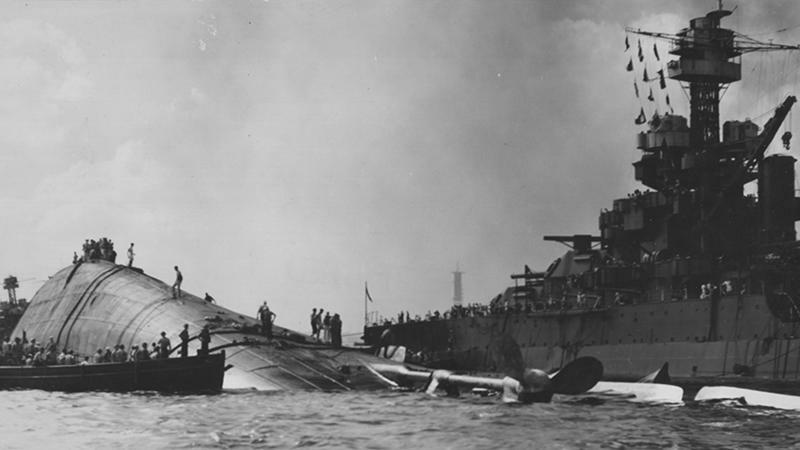 Following the disaster of Dec. 7, 1941, the Oklahoma lay capsized in Pearl Harbor for 18 months before being righted. Remains of Oklahoma crew continued to be collected through June 1944, with the Navy interring the dead in the Halawa and Nu’uanu cemeteries in Hawaii. The remains were disinterred by the American Graves Registration Service from the two cemeteries in September 1947, and transferred to the Central Identification Laboratory at Schofield Barracks in Hawaii. Fewer than 10 percent of the dead had been identified. The 394 unknowns were buried in plots at the National Memorial Cemetery of the Pacific, known as the Punchbowl, in Honolulu. In 2015, as part of the USS Oklahoma Project, the Defense POW/MIA Accounting Agency, through a partnership with the Department of Veterans Affairs, exhumed all of the unknown remains from the Oklahoma, and began the lengthy identification process. Since the start of 2019, the Defense POW/MIA Accounting Agency has announced the identities of 35 American service personnel, dead from World War II, the Korean War and the Vietnam War. These include 15 from the USS Oklahoma and one from the USS West Virginia, also sunk on Dec. 7 at Pearl Harbor. In addition, there are likely others that have been identified since the start of the year, but next of kin have not been located as yet. There’s much ado about former New York Times Executive Editor Jill Abramson’s new book and whether she takes her former employer to task for its coverage of the Trump Administration. “Abramson, the veteran journalist who led the newspaper from 2011 to 2014, says the Times has a financial incentive to bash the president and that the imbalance is helping to erode its credibility,” wrote Fox media critic Howard Kurtz about Abramson’s book. Abramson, who led the paper from 2011 to 2014, claims Kurtz took her words out of context, and said rather that her book is full of praise for the Times and Washington Post and their coverage of Trump. No matter what the case, there are substantial numbers of U.S. citizens who, whether correct or not, believe the Times and Post have become “the opposition” to the Trump Administration. What many news consumers don’t realize is that 125 years ago, newspapers were often unabashedly biased in their political coverage. The difference being that there were so many newspapers – more than a dozen in New York City alone – that the republic could afford to have media predisposed to one party or another. Article in Newberry (S.C.) News and Herald describing then ex-Nebraska Gov. John Milton Thayer’s purported descent into lunacy. John Milton Thayer was a Republican who had served as a Union general in the War Between the States, seeing action as such noted locales as Shiloh, Vicksburg and Fort Donelson. He was one of the first two senators from Nebraska after it gained statehood, was appointed territorial governor of Wyoming by Ulysses Grant and was elected to two terms as governor of Nebraska, in 1886 and 1888. Thayer didn’t run in the 1890 election, which was won by Democrat James Boyd, a native of County Tyrone, Ireland. Boyd was sworn in on January 8, 1891. However, the Farmers Alliance Party candidate, John Powers, who had finished second by 1,144 votes, contested the results, initially citing voting irregularities. A month after the election, newspapers began reporting that Governor-elect Boyd wasn’t a U.S. citizen because his father, upon arriving in the United States in the 1840s, had failed to follow through on obtaining citizenship, and didn’t actually do so until the month his son was elected, more than 30 years after the family arrived from the Emerald Isle. John Milton Thayer, governor of Nebraska, territorial governor of Wyoming and one of the two first senators from Nebraska. Under naturalization laws in place at that time, “if a parent failed to naturalize before the child reached the age of majority, the child could only acquire citizenship through their own naturalization proceeding,” according to Nebraska Law Review. Thayer also questioned Boyd’s citizenship and refused to relinquish the governor’s quarters. Within a few days, the Nebraska Supreme Court suggested that Thayer hand over the governor’s office while it considered the case. It was during this period that Thayer was said to have become a “raving maniac,” with the story running from coast to coast in papers big and small, including the Boston Globe, San Francisco Call and Virginia’s Alexandria Gazette. The Nebraska Supreme Court ruled in May 1891 that Boyd was not a citizen and, therefore, ineligible for election as governor. With this decision, Thayer was reinstalled as governor. Boyd argued that the principal of collective naturalization operated to make him a citizen when Nebraska was admitted into the Union in 1867. In other words, when Nebraska became a state, everyone living within its borders became citizens, no matter what their intention. 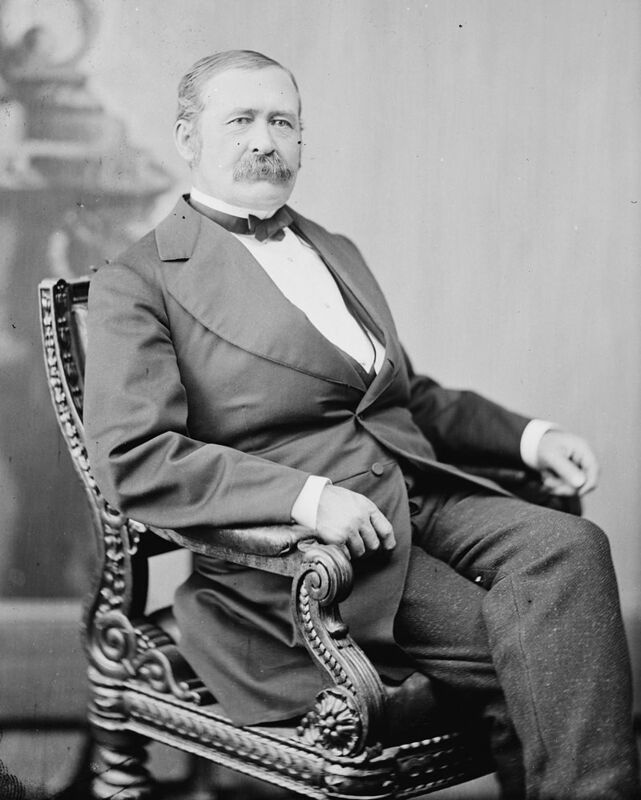 The Supreme Court agreed Boyd was a citizen, and he took office in February 1892. Thayer retired from politics after his abbreviated third term and lived until 1906. 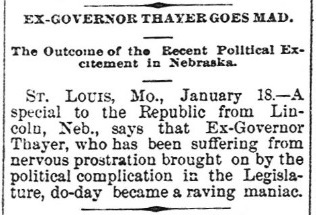 Despite being referred to as a raving maniac in papers across the country, there is no mention of Thayer’s purported lunacy in the Encyclopedia of Nebraska or the National Governors Association’s biography of Thayer. A few days after the first article appeared, the Omaha Daily Bee ran a short piece stating that “General Thayer is not a raving maniac, as has been asserted,” but was simply resting in bed after having overtaxed himself. One imagines General Thayer being somewhat less than thrilled to see his name again linked with the term “raving maniac,” even if in a correction of sorts. More than likely, many of the publications that printed the initial article were Democratic organs which were only too happy to connect a Republican politician to madness. Were the tables turned, Republican publications no doubt would have done the same thing to a Democrat. This was during a period when newspapers were much more open about their political allegiances, and the public understood where publications stood on candidates and key issues. Rest assured that Thayer wasn’t the only politician in the 19th century to be incorrectly labeled as a raving maniac. Parents have differing ambitions for their children, one supposes. Everyone wants their kids to be happy, to live fulfilling lives and to avoid the mistakes that they themselves have made. However, one also harbors the suspicion that those with more temporal aspirations for their offspring – riches, marrying “up,” political ambitions – are more likely to keep such objectives to themselves, their spouses or a tight-knit group of friends who think along the same lines. My hopes for my six children have always been the same: good health, happiness and holiness (I like alliteration). That’s been my prayer for each of them every night. If they can achieve a modicum of those three, their lives will be rich beyond measure. For daughter No. 3, who I will refer to as Caroline, since that’s her name, my prayers have already been answered many times over. Not only is she a happy young lady and goes to church on her own, but she has overcome a host of early health issues that left her life in jeopardy from the moment she was born. Caroline was diagnosed with a congenital cystic adenomatoid malformation before she was born. Because she was a twin, there was no chance of doctors performing surgery while she was still in the womb. The congenital cystic adenomatoid malformation, or CCAM, prevented one of the lobes in her right lung from developing, leaving it instead a mass incapable of functioning like normal lung tissue. Daughter No. 3 in action earlier this year. And, yes, she will exact revenge upon me for using this photo. Fortunately, she was delivered at one of the best hospitals in the Southeast, the Palmetto Health Children’s Hospital. Within moments of her birth, she was whisked to the neonatal intensive care unit. Almost immediately, because the CCAM was preventing her from getting necessary oxygen, she was placed on a frightening piece of equipment that provided extracorporeal membrane oxygenation, called an ECMO machine. The goal is to support the patient while doctors try to treat the underlying issue. Unfortunately, the longer a newborn is on ECMO, the greater the chances of bleeding in the brain, which can cause brain damage or even death. My then-wife, having given birth to twins by caesarian, was recuperating and understandably unable to visit Caroline in the hours after her birth. I was able to see my daughter within an hour after she’d been born, and she was already hooked up to the very large machine, with oxygenated blood being circulated into her body through a cannulae in her neck. Standing there alone, with just a nurse monitoring her, as machines beeped and blinked over my tiny baby was very sobering experience. Even more difficult was what occurred a short time later, when a nurse asked if I had a priest I wanted to call. She knew we were Catholic and that if things didn’t look good for Caroline that we would want her baptized immediately. I said yes, and made the call. The priest showed up a short time later and not only baptized my hours-old daughter, but also gave her extreme unction, better known as last rites. Caroline had been born at 1:01 p.m. and I distinctly remember more than once praying that she make it until at least midnight, so that no would think she had been a stillborn. It’s odd what one dwells on in times of crisis. My mother had flown out from California and my ex-wife’s parents were on hand, as well. As excited as everyone was about the second baby, who I’ll call Abby, since that’s her name, there was a definite sense of foreboding as we watched little Caroline struggling while hooked up to the ECMO. We would visit her regularly, and I was there one day by myself when she opened her eyes for what I believe was the first time. She was looking directly at me. I have no idea if she could focus on me or even knew of my presence, but it was a positive development. It was on that day that she was able to grip my finger with her tiny hand for the first time. However, attempts to take her off ECMO weren’t progressing. Because of the danger of brain bleeds, the maximum time a newborn is allowed on the machine is three weeks. As we passed the two-week mark, Caroline’s compromised lungs still were unable to take the strain of her breathing on her own. Doctors had removed the mass, but each time they tried to take her off the machine, she wasn’t able to get enough oxygen into her bloodstream on her own and would have to go back on ECMO. Walking outside the hospital one late spring day, I distinctly remember asking my mom if we would have to look into organ donation. She said we should wait and see what happened. As the third and final week of Caroline on the machine came to a close, things were not looking particularly good. But just as we were preparing for the worst, Caroline’s lungs improved enough that doctors were able to remove her from the heart-lung bypass and she was able to breathe on her own. It seemed like a last-minute reprieve. There were more challenges ahead. Did she have brain damage from her extended stay on the ECMO? (no, fortunately); she had had so many surgeries that she had become addicted to morphine, which she had to be weaned from; she would spend more than three months in the neonatal intensive care unit before she could come home and join her twin and older sister and brother, and she needed physical therapy because her neck muscles hadn’t developed, leaving her unable to hold her head up, because she had had to lay in the same position on the heart-lung transplant machine for three weeks. Why do I write this today? Last night Caroline attended her high school cross country team’s annual banquet. 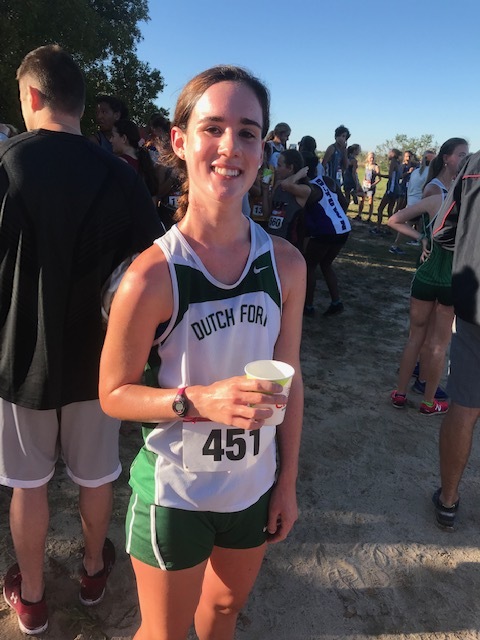 The girl born without the middle lobe on her right lung spent the last five years running cross country, and another four years running track. She wasn’t the fastest, but she worked hard, didn’t complain and developed a love for a sport she will likely enjoy her entire life. Ironically, it was eight years yesterday that she went for her first run, with her stepmother – my wife – who took her and her sisters out for a jog to introduce them to the sport. 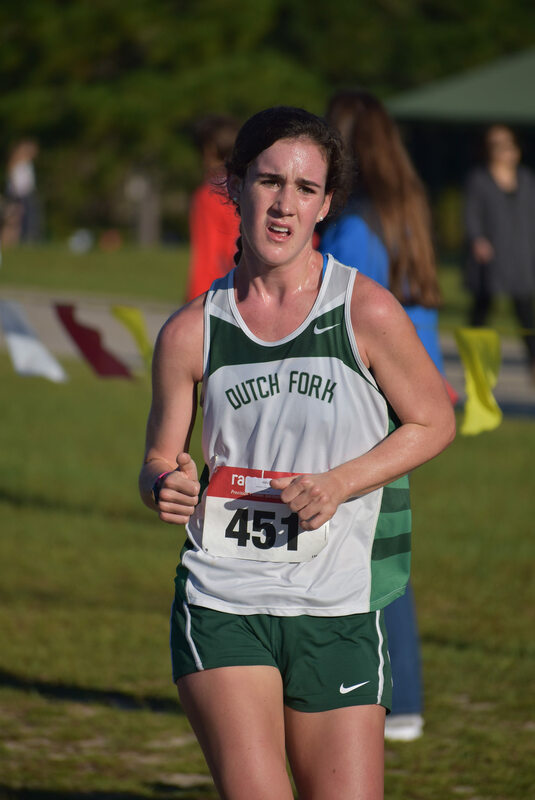 Over the past few years of attending my daughter’s cross country races I’ve seen parents yell at their children for not finishing as well as the parent would have liked. I’ve seen parents say how disappointed they were with their kid’s performance, turn their backs on them, walk away from them and even make them cry. Me? I was grateful for every time Caroline got out there and ran. She made some wonderful friends, was part of a good team and learned lessons that will serve her well through life. Many a time as she ran past me I thought back to that spring when all I wanted was for her to live to the next day, or to open her eyes just once so she could see me. Needless to say, many times over the past five years I’ve thanked God for giving me the chance to see my daughter run, and last night, when she walked up and received her school letter from her coach, culminating years of hard work, I said another prayer of thanks that she has come so far. She is a good person with a good heart, as are all of her siblings. It is said that we often don’t know what we have until we’ve lost it. Having nearly lost a daughter at birth, I’ve long recognized and appreciated what I have with my children. 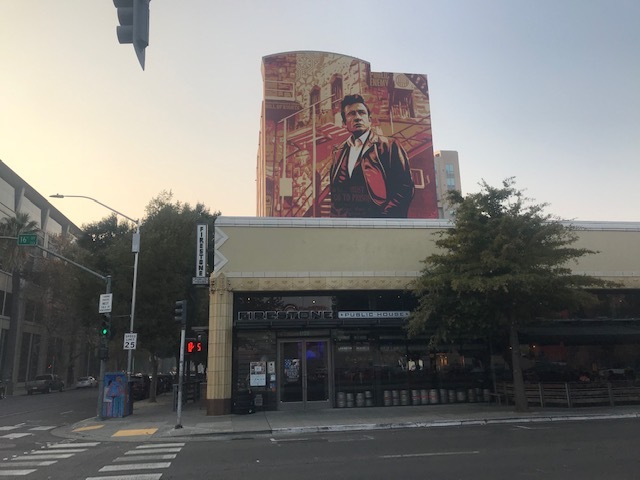 Near the California state capital in downtown Sacramento is a striking 15-story mural of music legend Johnny Cash. The mural was completed earlier this year by graphic artist Shepard Fairey, who is best known for the “Hope” poster supporting Barack Obama’s 2008 presidential campaign. It shows Cash looking toward Folsom State Prison, site of one of his most famous performances, and the subject of one of Cash’s greatest songs, Folsom Prison Blues. 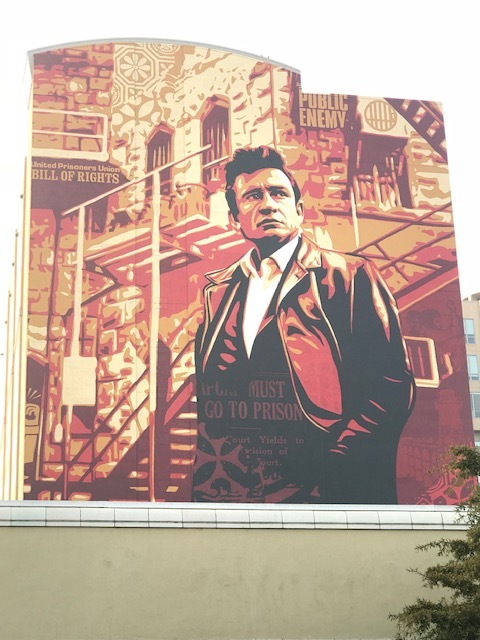 The mural is both a tribute to Cash and recognizes his passion for prison reform. Cash mural in downtown Sacramento, with more of the surrounding area, for context. Cash staged close to 30 prison concerts over a 20-year period and two albums were based on those performances: “Live at Folsom Prison” and “Live at San Quentin,” according to the Sacramento Bee. Fairey is also an advocate for prison reform, and did the mural in the hope that it would “ignite a conversation around the need for incarceration reform,” he told the publication. One hundred years ago today Capt. 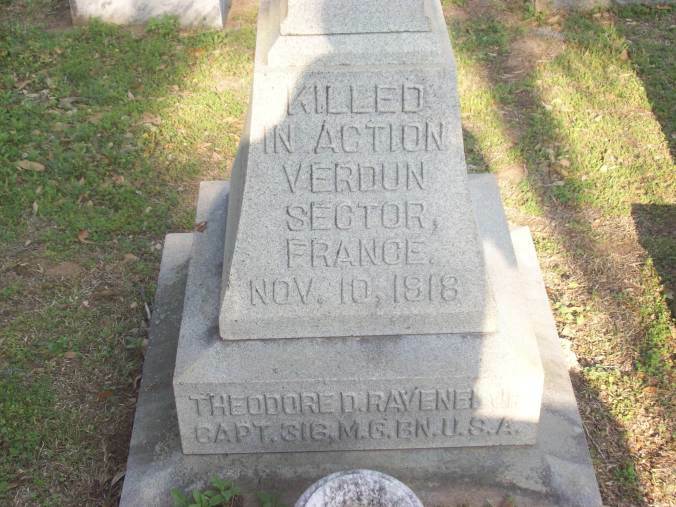 Theodore Dubose Ravenel Jr. was killed in fighting on the Western Front. Sadly, he died just one day before the end of the Great War. Even sadder, given the confusion of war, his family did not find out for some time afterward, so they initially believed he had survived the terrible conflict that claimed 10 million lives. That he was brave is indicated by the fact that he was killed on final full day of the war. With German allies Austria-Hungary and the Ottoman Empire already having surrendered, rumors were rampant by early November 1918 that an armistice was imminent. Many soldiers on both sides were understandably content to do their best to just keep out of harm’s way. Still, high-ranking officers in the rear continued to send men forward, many times only to add to their own personal accolades, resulting in needless deaths in the war’s final hours. Ravenel, a member of the American Expeditionary Force’s 316th Machine Gun Battalion, was killed near Verdun, France. Verdun had seen some of the worst fighting of the war, and in the history of warfare, in 1916, and the area remained a hot zone throughout the remainder of the conflict. An after-action report by 2nd Lieutenant Herbert R. Stender, who served under Ravenel, recounted the details regarding latter’s death. According Stender’s Nov. 14, 1918, report, at about 4 p.m. on Nov. 10 he was ordered to gather a detail of two noncommissioned officers and four privates from his platoon and patrol an area up to the limit of the territory held by the 324th Infantry, then return with his information before dark. “… to my surprise and sorrow, I found Captain Ravenel of ‘B’ Company. He had been shot through the leg with machine gun bullets and his leg was broken,” Stender wrote. “He recognized me at once and requested me to take him away before the Boche (Germans) could return and get him,” Stender continued. “I called my patrol to the spot and we fixed the Captain as comfortably as possible. Stender’s patrol then proceeded to bring Ravenel back to the American lines, but Ravenel died en route. Ravenel’s body wasn’t returned to the US for nearly three years, when he was interred in the family burial plot at the Church of the Holy Cross in Stateburg, SC, in the summer of 1921. 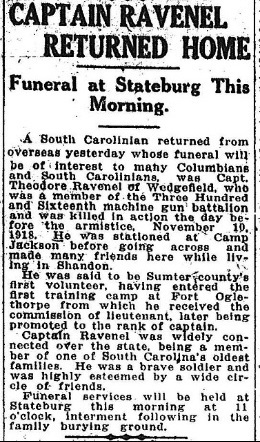 Ravenel was one of several World War I casualties from South Carolina whose remains were returned to the Palmetto State on Aug. 5, 1921, according to a newspaper account. The others included Private Williams D. Wells, of Greenville, killed on Nov. 11, 1918, the day the armistice was signed; Private Oscar Camp, Gaffney; Private James M. Lynn, Rock Hill; Private Henry K. Brown, Saluda; Private Jesse J. Moore, Westminster; Private Richard Williams, Jefferson; and Private L.T. Dickson, Kings Creek. It would be nice to be able to write that Ravenel and the tens of thousands of other U.S. troops who gave their lives in World War I died for a worthwhile cause. Given that World War II, with all its accompanying horrors, would be spawned from the carnage of the Great War, though, it’s hard to believe much good came from the First World War. And today, the centennial of World War I has largely gone unnoticed in the United States, from the war’s beginnings in Europe to U.S. involvement in 1917 to its last days in November 1918. As they have for a full century now. Laurens, S.C., is a typical small Southern town. Its mills are closed, the Columbia, Newberry and Laurens Railroad is now part of a major transportation company and the last bank with its headquarters in the community relocated nearly a decade ago. But there’s no denying its history. Even though it has a population of around 9,000, the town can claim two South Carolina governors, a U.S. Senator and a U.S. Secretary of the Navy. It also produced at least two Confederate congressmen and several signers of the S.C. Ordinance of Secession. That latter bit is what makes the sign on a main street heading into town rather striking: “President Andrew Johnson Memorial Highway”. Johnson, of course, served as the 17th president of the United States. Of particular note to denizens of Laurens and other Southerners, he was president during the first part of Reconstruction (1865-69), when Radical Republicans in Congress did their best to stick it to the South for the War Between the States. At first glance, naming a road in the heart of South Carolina after a Reconstruction president seems akin to, oh, labeling the section of road between the German cities of Stuttgart and Munich the “Prime Minister Georges Clemenceau Memorial Autobahn”. It should be noted that Johnson was by no means aligned with the Radical Republicans. He favored quick restoration of the seceded states to the Union. Unfortunately, his plans did not give protection to former slaves. He went so far as to veto the Fourteenth Amendment, which gave citizenship to former slaves, and got crosswise with the Republican-dominated Congress. 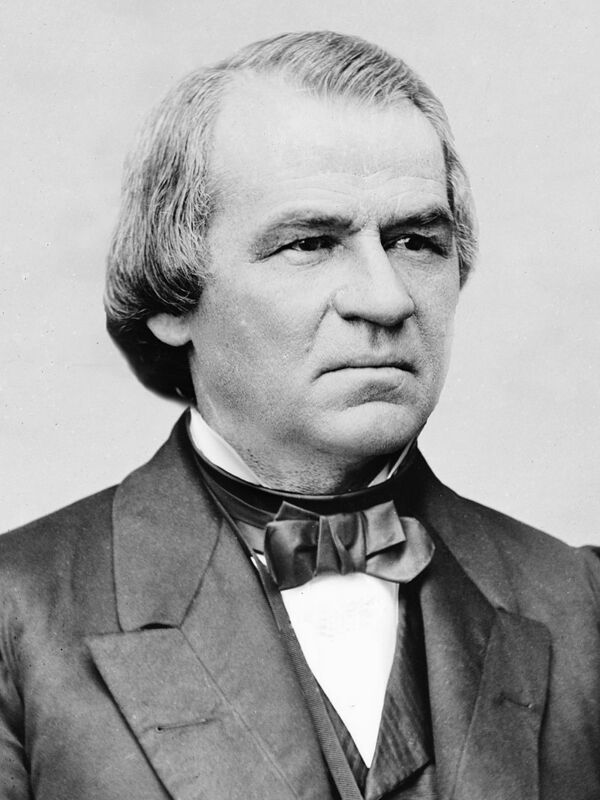 Andrew Johnson, with a face only a mother, but not a prospective mother-in-law, could love. He was impeached by the House of Representatives and escaped conviction and removal from office by a single vote in the Senate. Without Congressional support, he accomplished little during his four years in office. So why does Johnson, generally considered one of the worst, if not the worst president in U.S. history, and the man in charge of the Federal government directly after it defeated the Southern Confederacy, have a highway named for him in the South Carolina Upstate? It turns out that Johnson, a native of North Carolina, operated a tailor shop in Laurens in the mid-1820s. He even courted a local “blue-eyed beauty,” a lass named Sarah Ward. Johnson wanted to marry Ward, but according to legend, Ward’s widowed mother didn’t think a tailor was suitable for her daughter and nixed the match. Once Johnson realized he had no chance of winning Ward’s hand, he returned first to Raleigh, N.C., where he’d been born, then moved west to Tennessee. It was in Tennessee that he would eventually serve in the U.S. House, U.S. Senate and as governor before becoming Abraham Lincoln’s vice president for six weeks, until Lincoln was assassinated in April 1865, thrusting Johnson into the presidency. 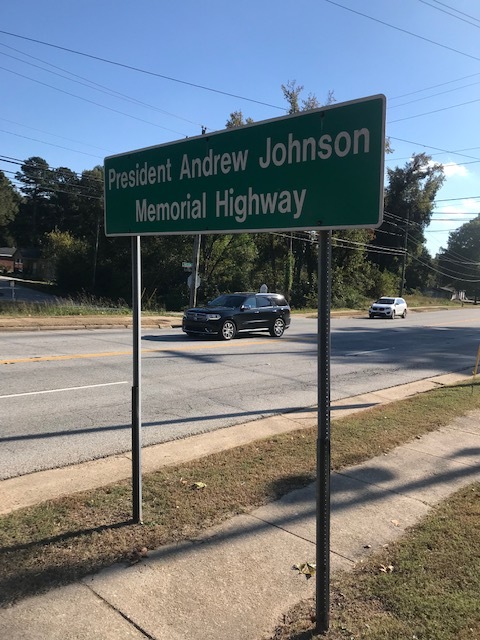 A resolution designating a stretch of road through Laurens as the “President Andrew Johnson Memorial Highway,” recognizing both his time in the town and his service to the people of the United States, was passed by the S.C. General Assembly in 2000. Alas, I was unable to find any roads named for the widow Ward or any of her kin during my time in Laurens.